Iron Man, Loki, Spiderman... Do you think you know everything there is to know about the superheroes and supervillains of the Marvel universe? Well, put your knowledge to the test with Cardline! Is Pepper Potts more intelligent than Black Widow? Who is stronger out of Ghost Rider and Dracula? 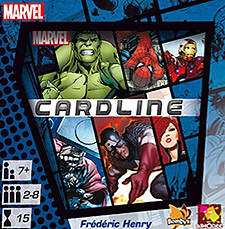 Answer questions like this to test your knowledge in Cardline as you place Marvel characters cards in increasing order of strength, intelligence or combat ability.